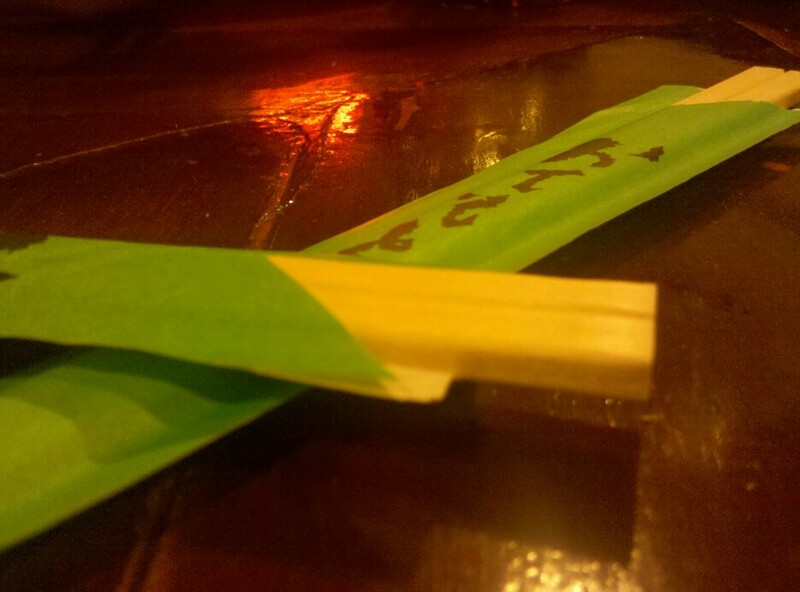 Wednesday night sushi at Pad Thai has become sort of a tradition. I wasn’t going to leave the comforts of my living room last night, but somehow Chuck and Andy managed to drag me out in my sweats looking haggard and maybe a little transient. Sitting at the actual sushi bar is also a requirement, so I decided to use the knick knacks around it for picture of the day subject matter. Not quite sure which I like better? 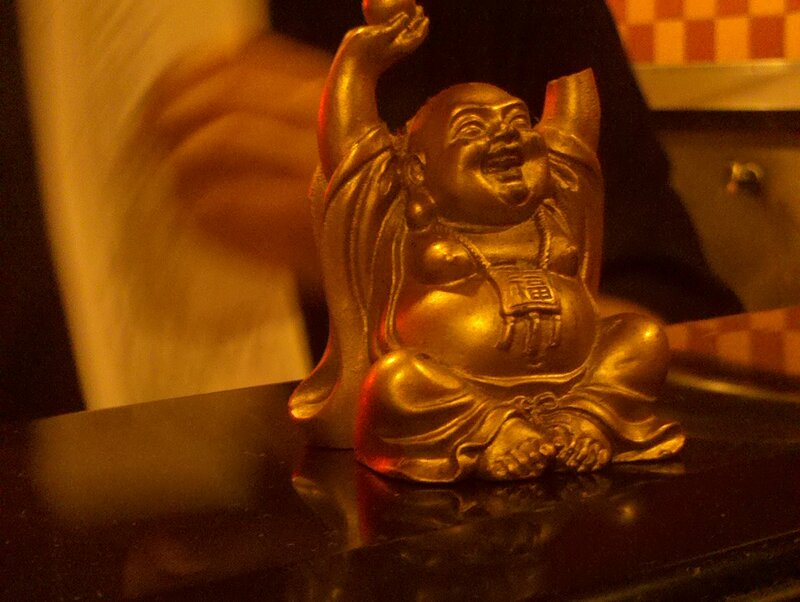 The one armed Buddha or the chopsticks?